Ahoy there! Fancy sailing away into the sunrise on a journey of discovery? This new game by Play ‘N Go is offering just that. So, don’t delay – all aboard the Sails of Gold Slot today! Sails of Gold is one of the latest online games to be released by top maker, Play ‘N Go slots. The theme of the game is loosely based on explorer Christopher Columbus’s famous journey of discovery to find treasure in the New World. The video style introduction to the game is rich in colour, sound and atmosphere and mimics the idea of getting ready to set sail on the big wide ocean at sunrise. 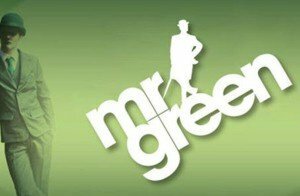 The online slot consists of five reels, and there are 10 possible paylines. There’s a good range of betting options available, from as little as 10p to £100 a go. So something to suit every players needs and requirement. The slot is available to play via a range of different methods, including mobile phones, tablets, laptops and desktop computers. Both the graphics and playability in Sails of Gold are of top-notch quality. The video introduction effectively puts you in the mood for the game, with its traditional sounding music and lovely depiction of the sun rising over the ocean and a ship setting sail. The graphics are very clear and distinct throughout the game, including the symbols themselves and the design of the slots. We really like the accurately portrayed seafaring theme, and the parchment paper-style faded compass background on the reels. It’s also nice to see the logo come to life each time you strike a win – with the mini ships wheel spinning above the jewel-encrusted crown. Sometimes the red flag makes bit of movement too as if it’s naturally blowing in the wind! In the background during play, there’s an atmospheric skyline and silhouettes of palm trees – all very much adding to the idea that you’re on a journey of discover to foreign lands! The Sails of Gold gaming slot features a range of beautifully designed symbols that are clear to see and easy to identify. There’s the classic 10, J, Q, K and A symbols, along with an ornate brooch, a coat of arms, a ship, compass and good old Christopher Columbus himself, brandishing his telescope. The Paytable link on the game itself has been nicely produced and very easy to understand and follow, especially as there are only three pages to read. This is a pleasant change from some games, where you can be easily confused by all the rules and possibilities before you even knuckle down to play. It’s good to know that playing this slot could allow you to win up to 250000 coins – a very generous amount. Christopher Columbus acts as the Wild symbol during the game and substitutes for all the other symbols, except the scatter. Getting five of his symbols on the board can produce a win of up to 5000 coins. Three ships hail the start of a free spin round, where you’ll see special golden ships appearing. As you’d expect, getting a free spin round is one of the best aspects of the game and definitely helps to liven up play – not least when it turns into multiple free spins! Everyone loves an online slot with special features, and we’re pleased to say you’re finely rewarded with some extra winning chances in Sails of Gold! Every time you get three or more ship symbols, you’ll win a free spins game with wild golden ships. The ship symbol also acts as an extra Wild, so getting three or more appearing on your reels can sometimes result in even more free spins rewarded. As is the case with some other gaming slots by Play ‘N Go, they’ve also incorporated a gamble function into the game. 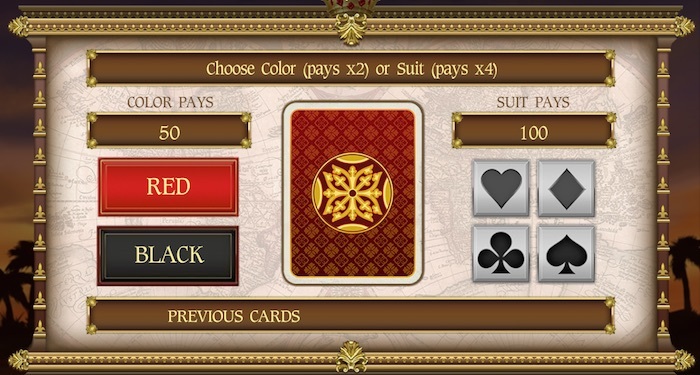 This hasn’t been tailored to fit in with the style or theme of the game and is just the standard ‘guess the colour of the card and double your winnings’ option. But if you’d like an extra opportunity to win, then it’s a fun addition to be able to access if you wish. There’s a good range of betting options on the Sails of Gold Slot. You can bet from as little as 10p, right up to £100. By toggling the amount on the coins and lines buttons, you can find the right betting option for you. Once you score a winning line or two, you’ve also got the option to either gamble it or collect it. If you simply want to collect it, you can just carry on by pressing the spin button again. The Return to Player (RTP rate) of Sails of Gold is pretty reasonable at 96.25%. Adeptly designed and produced, and with all the hallmarks of the ultimate seafaring adventure. 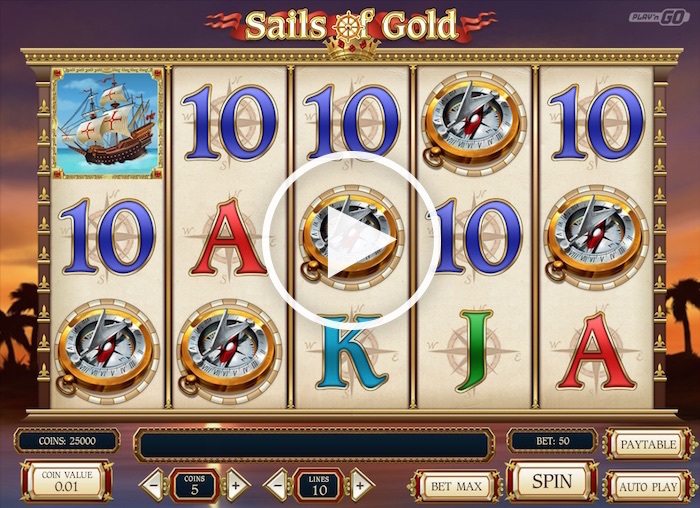 Sails of Gold is one of the best Play ‘N Go slot games available and well worth playing.